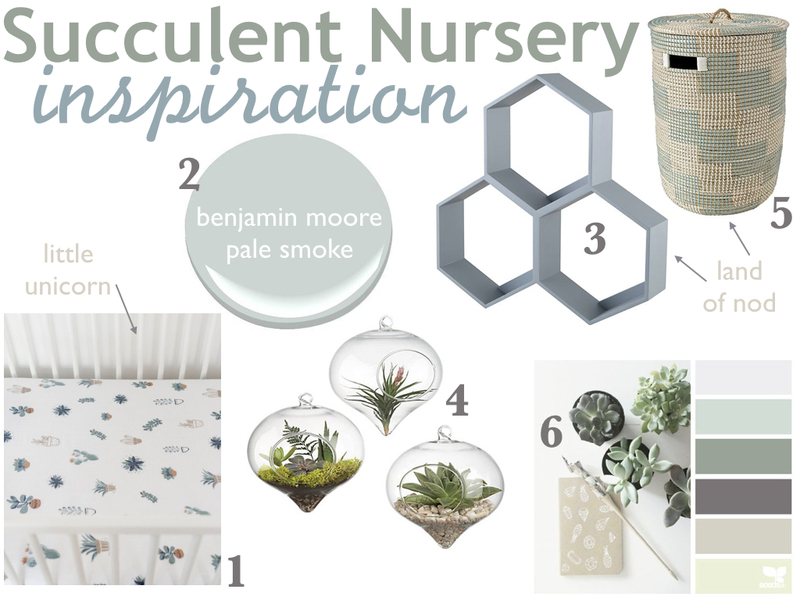 Finally sharing some of my inspiration for this third baby's nursery. I have loved getting more creative than usual and finding inspiration everywhere! It all started with the Prickle Pots line from Little Unicorn and developed from there. I definitely know I will use that bedding & have a hanging terrarium, but from there I just want a neutral palette and to find things that compliment the space. I tend to keep things super minimal! As I've said before, I won't really put together a nursery until we move into the new house, likely when the babe is 1 or 2 months old. However, we will still set up the crib in a corner of our bedroom, and make some closet space available as well. And because I'll need a little flair, I'll probably have the hanging terrarium up too. I need to do just a little bit of nesting at least! I cannot wait to see this space come together; I'm sure it will be my very first project in the new house! Likely, my inspiration will change & involve before I ever get started, so follow my pinterest board to keep up with my ideas. And of course, fill me on an succulent goodies or things that would simply be perfect for this theme! Super cute! I'm having a hard time deciding what direction to go with our little man's room. Hard to shift to all things boys after 2 girls but I'm so excited to start working on it! These are such cute ideas! I can't wait to see the finished product! What a sweet and peaceful nursery inspo! I saw the cutest cactus pillow at Ikea last month. I'm loving these theme!! I especially love the color scheme and that honey comb shelving unit! Super cute! Pale Smoke is such a fantastic color!! Eep! It's all so cute! I'm especially loving the hanging terarium, what a fun idea for a nursery. I can't wait to see that little boy's space come together! I cannot wait to see this come together! Love that paint color!